The first trailer for the new Charlize Theron flick that’s based on another torrid tale from the author of Gone Girl, Gillian Flynn, entitled Dark Places, has arrived. Check it out, and look for more on this one really soon. Chloe Grace Moretz, Nicholas Hoult, Christina Hendricks, Tye Sheridan, Shannon Kook, and Corey Stoll also star. The film was directed by Gilles Paquet-Brenner from his adaptation. 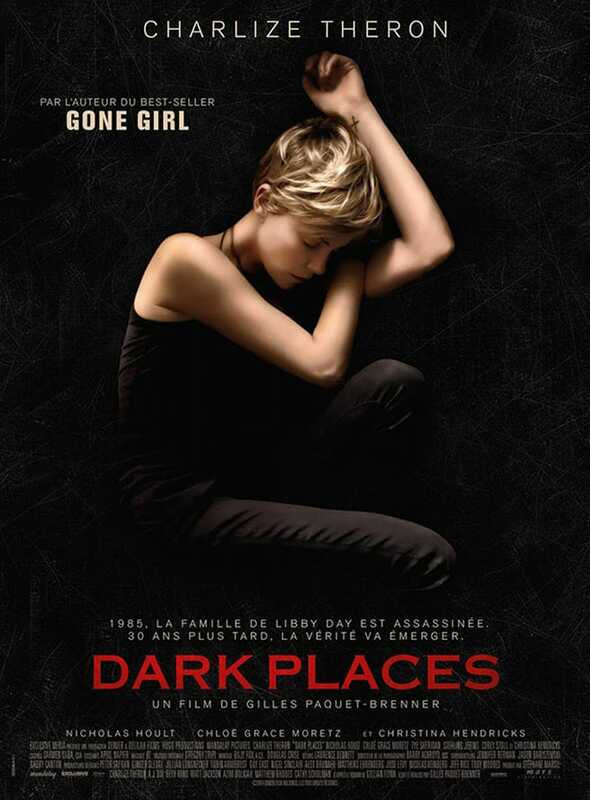 Dark Places tells the story of Libby Day (Theron), a woman who, at the age of 7, survives the massacre of her family and testifies against her brother as the murderer. Twenty-five years later, a group obsessed with solving notorious crimes confronts her with questions about the horrific event. Told in a series of flashbacks from the points of view of Libby’s mother, Patty, and her brother, Ben, Libby is forced to revisit that fateful day and begins to question what exactly she saw – or didn’t see – the night of the tragedy.